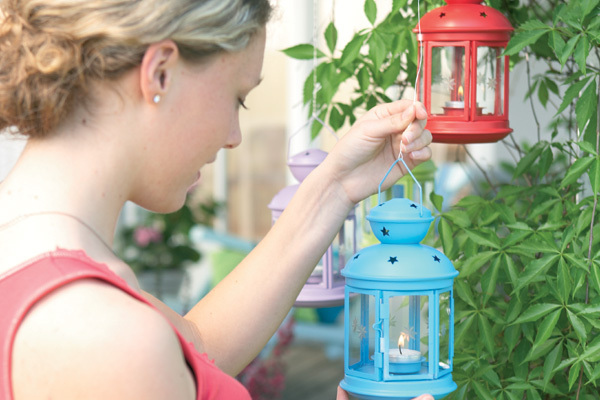 These magical lanterns will get a lot of attention. 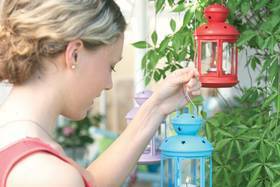 You’ll find similar decorations that really catch the eye with a little colour, at flea markets or in any DIY store. We are sure you’ll find the colour to suit your desired ambience in our broad portfolio. 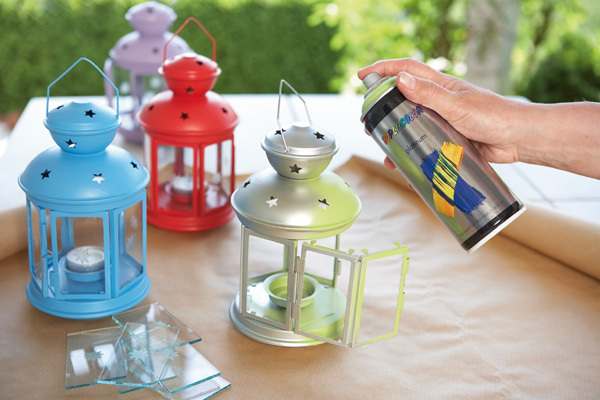 If necessary or technically possible, take the lantern apart. Before you begin spraying, cover glass parts carefully with double-sided sticky tape and paper. Cover your workstation with newspaper or sheets. Only work outdoor or in ventilated rooms. The surfaces to be sprayed must be clean, dry and free of grease. 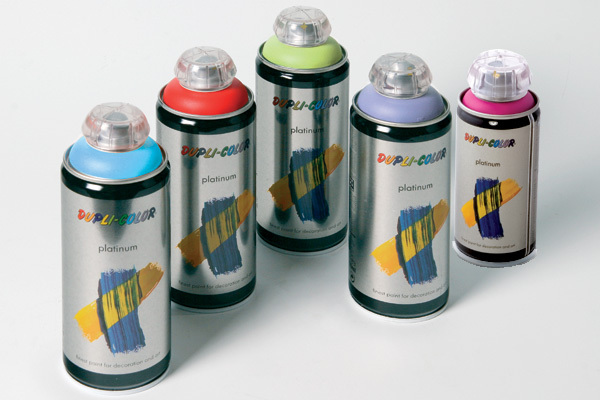 Spray objects from a distance of approximately 10 cm crosswise. The advantages of spraying are in your hands: When you use a paintbrush, the paint can quickly run or leave visible strips – with a spray can, you have an even and blemish-free look. The results are more even when you spray lots of thin layers rather than one thick one. Leave to dry for a short period between each spray. 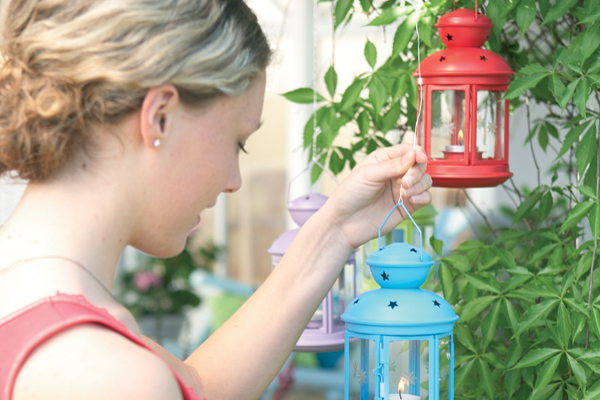 Put the lanterns back together and find a good place to hang them – your cheerful and colourful party decorations are ready.